1959: It was a different era, though many readers will remember it well. 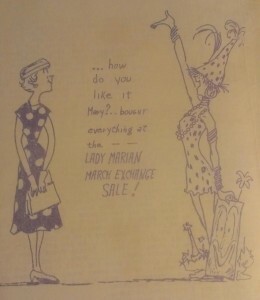 It was a time before the conveniences of the Internet and social media, when people were social in real space and time — door-to-door and in each other’s homes, a time when folks dressed elegantly for parties, a time when invitations were handmade with care and creativity… a more “cohesive” time. 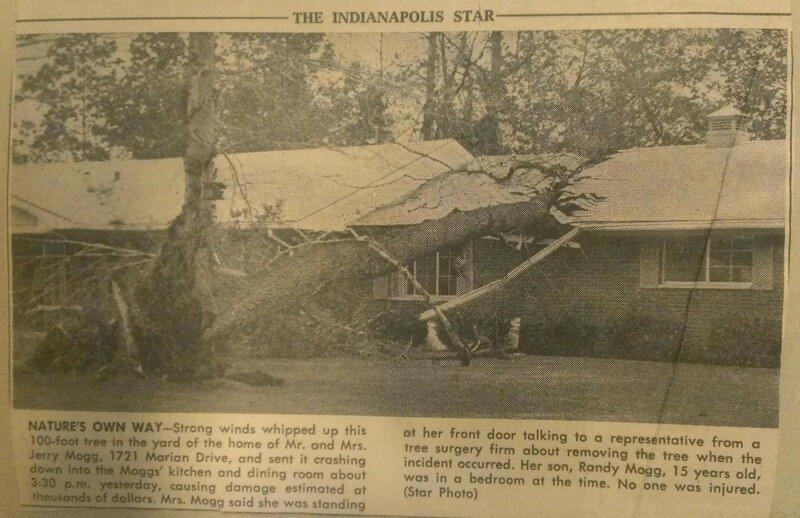 It was in that year that the Sherwood Forest neighborhood was developed. Situated in far-Northside Indianapolis, in the Nora area, on beautifully-forested grounds and adjacent to farm land, a suburban community sprang forth that would eventually welcome almost 200 families. My property abstract goes back to pre-statehood. The land was a mixture of swamp and forest, a convergence of the White River and several tributary streams where the Delaware (or Lenape) people hunted and farmed. There’s still ample proof of those inhabitants; a few of the neighbors who are original to the neighborhood have collections of native artifacts unearthed during the construction of their homes, axes and arrowheads, mostly. Following history books, after wars and “treaties,” native peoples were relocated. Settlers cleared much of the forest and drained the swamps. 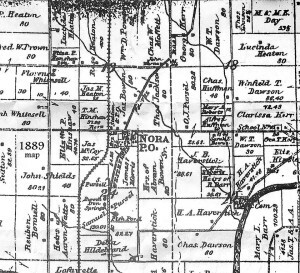 In 1872, the sleepy hamlet of Nora developed just a few acres to the south. 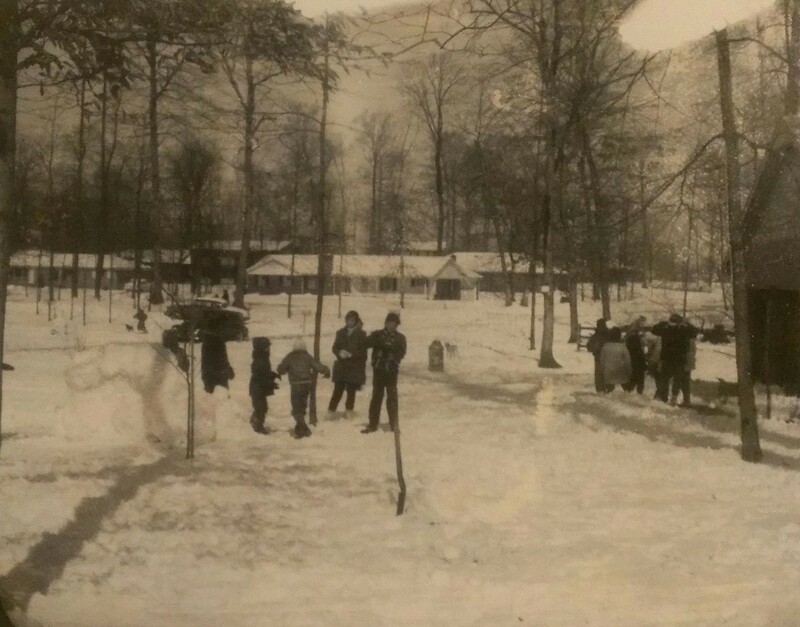 For generations, the location was not much more than a rural stop on the Monon Line. 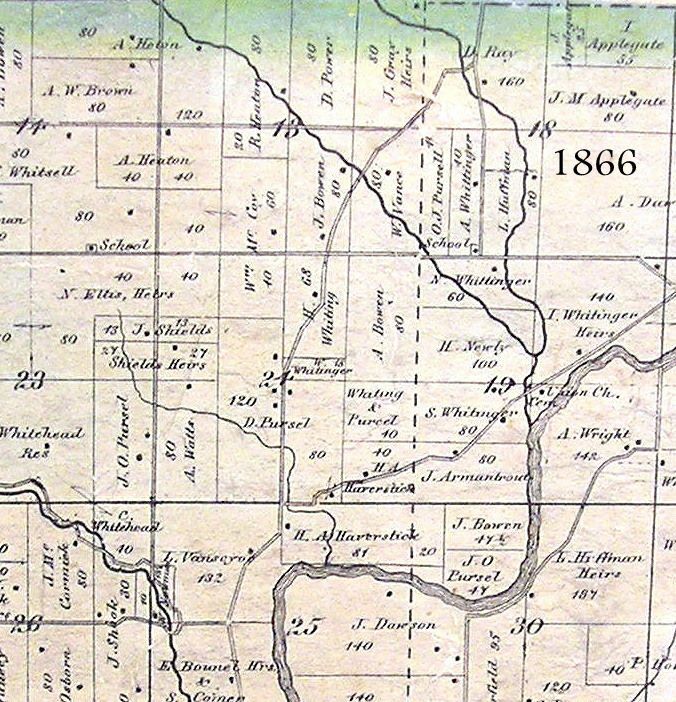 Little information is known about the events or people who lived in the farms or worked in the mills that are now just dots on the platt maps. 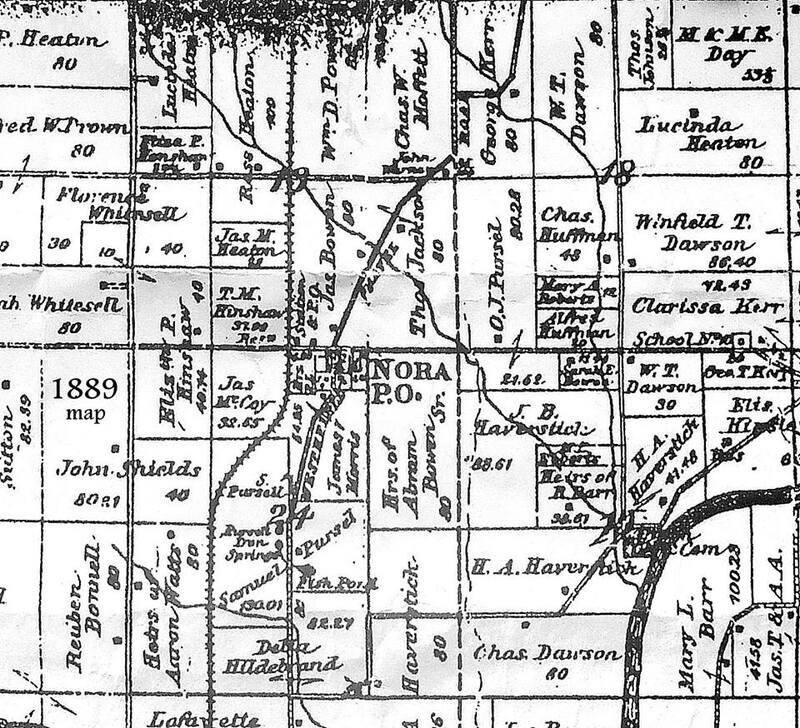 By 1889 when this map was drawn, the village of Nora was established just to the south of where Sherwood Forest would eventually be built. 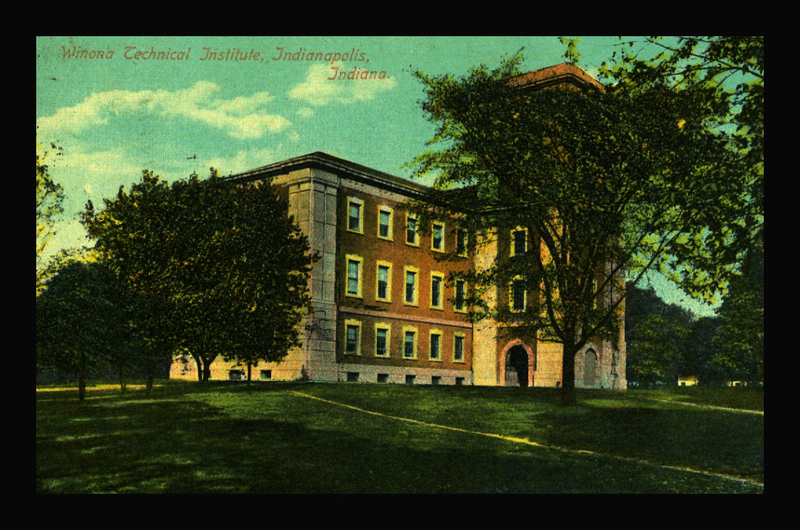 However, in the 1950s, the Indianapolis post-war building boom finally subsumed Nora, and suburbs began springing up in the area. Sherwood Forest, bounded by Westfield Boulevard, 91st Street, 96th Street (now called Real Street) and the Monon tracks (now the Monon Trail) slowly appeared from the clay and rubble of a struggling farm. Gems from the scrapbook: kids play in the Forest circa 1959. Providentially, those early “settlers” had the forethought to record the social events that were organized between neighbors in the form of three scrapbooks and a host of events folders which are still handed from host-to-host each year. 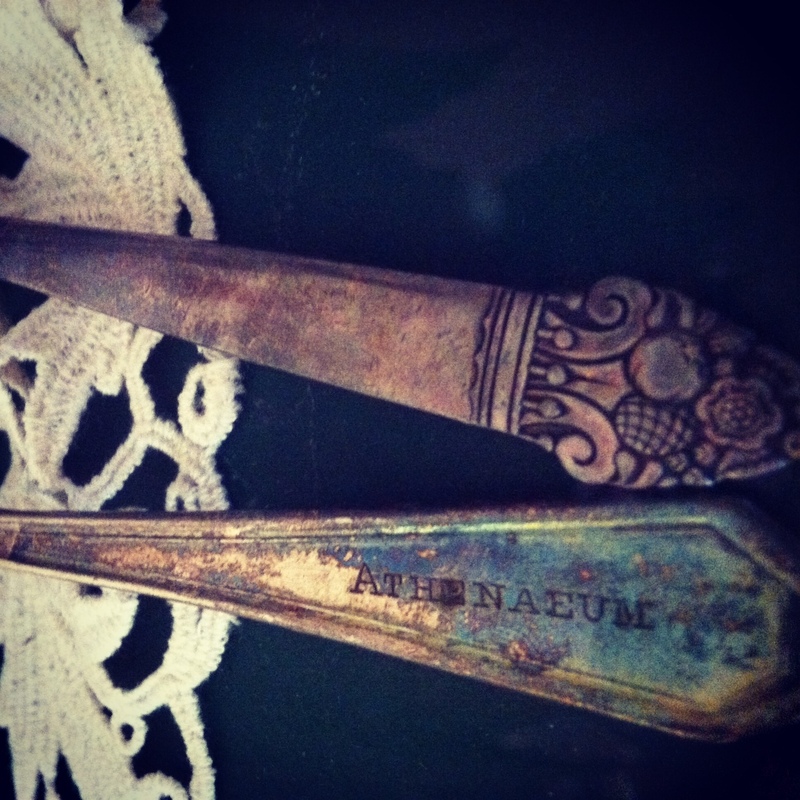 These precious historical materials have been passed between neighbors for safe keeping for over 50 years. A few have been lost, but those that remain give insight into a time, not too long ago, when neighborly celebrations were the center of social life. 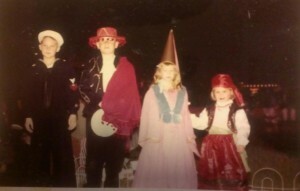 Gems from the scrapbook: the children’s Halloween party is a 50+ year tradition that continues to today. Rickie Franz, the original Sherwood Forest historian, wrote in the first scrapbook, “In June of 1959 a group of 17 women, there were only about 22 families in the Forest, decided to get together…” and with this, she chronicled the first three years of community births, deaths, card parties and civic engagement. 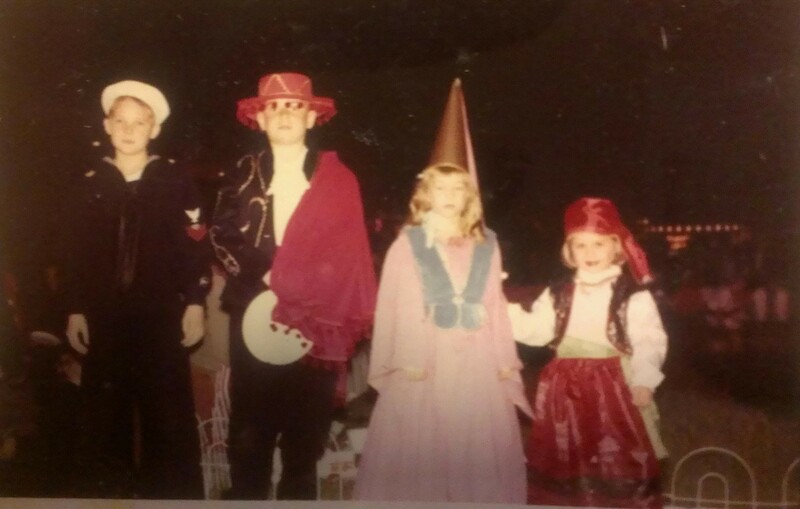 Many Sherwood Forest traditions began in the very first year and continue to today: the children’s Halloween and Christmas parties, Bridge gatherings, neighborhood sales and the Fourth of July parade. Gems from the scrapbook: creative handmade invitations fill the pages! Does anyone remember the “ditto machine”? 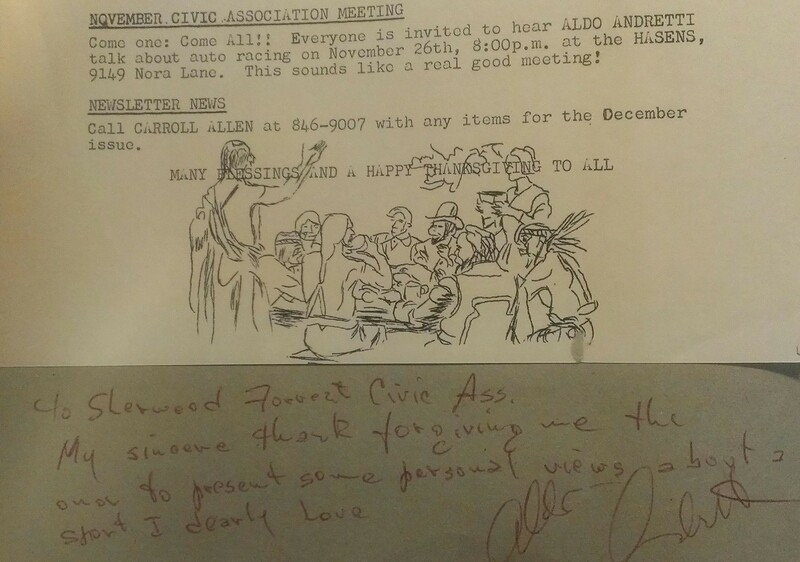 Aldo Andretti’s personal note written to the neighborhood after he spoke at an association meeting. Gems from the scrapbook: proof of one story from the neighborhood’s oral history. I have a deep feeling of gratitude to the (mostly) ladies who chronicled (and continue to record) our community events, offering physical (sometimes-corrective) proof of the oral histories one sometimes picks up at the annual gatherings. – What are your memories of the Nora area or Sherwood Forest neighborhood? 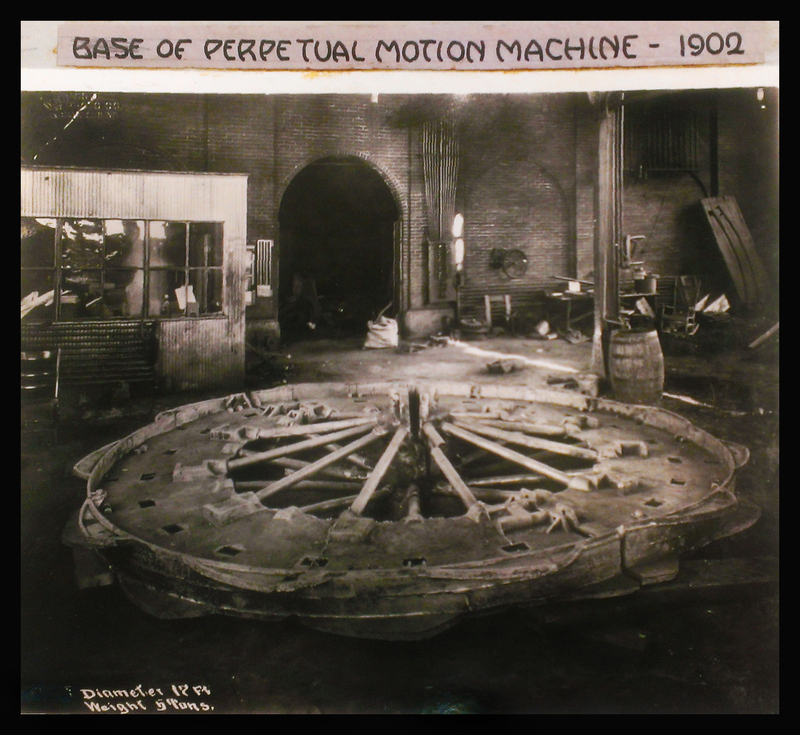 – YOU are living history! How are YOU chronicling the events of your life and your community? Please add your own details to the Sherwood Forest timeline in comments below! Judging by the information in old city directories, the previous owners of your house were named Bob and Jo Casey. They moved from College Avenue to Nottingham Drive. BTW, I had a friend when I was growing up who lived next door to your house (one door south) named Toby Cortelyou. She went to Broad Ripple High School, and I, as you know, went to Shortridge. I lost touch with Toby by the time we were adults. Were the Cortelyous still there when you moved to your house? Thanks for the great article. We just moved to Sherwood Forest in July,(1702 Marian Dr.). I’m curious about who has the scrapbooks and if they are available for viewing? 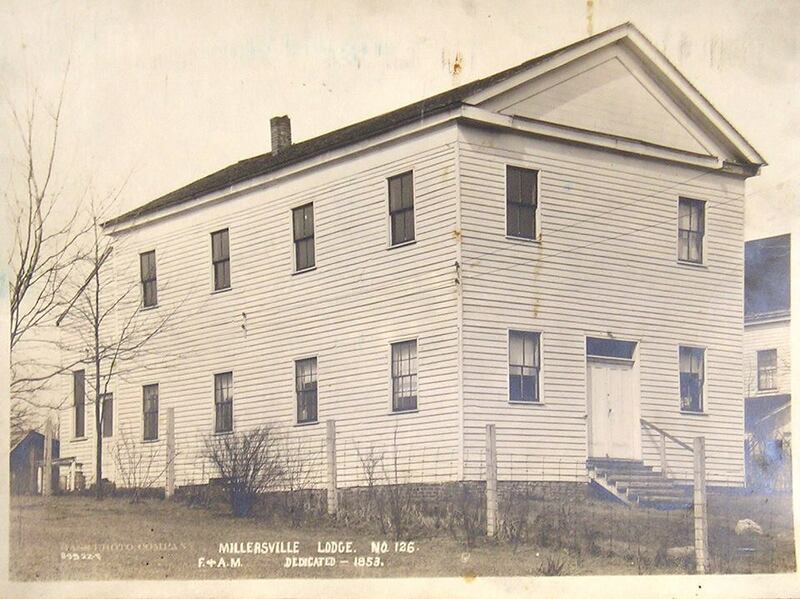 I enjoy discovering the history of our homes; I found a picture of our old house from the 1920s (corner of 42nd and College Ave,) and would love to have a pic of our new house from when it was newer (I found the original building permit and a mailbox topper with the name Pulchek in the attic ). Also, any info on previous residents (prior to 1987, we met the previous owners) would be much appreciated. Hi Neighbor! Check your neighborhood directory for the name Zobbe… they can put you in touch with folks who are original to the neighborhood and they know lots of the oral history. CONFESSION: I haven’t returned the scrapbooks to them yet :/ I’ll get them back there this weekend. we had one the first house in Sherwood forest I have a lot of pictures from their our house caught on fire in 1961 it was at 9466 Compton ave I lived there as a kid from 1960 to 1974 I still drive by the house lot of great memories!!!!!!!!!!!!!!! 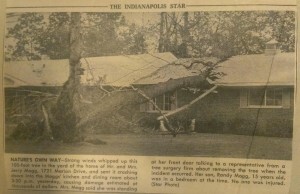 Lived on corner 91st and westfield when the first house went up in Sherwood forest. Right across the street next to Mr moffit who lived on the other corner. I sold pumpkins out on the corner when I was a kid. We hunted mushrooms and rabbits where Sherwood forest went in. Probably about 60 + years ago.